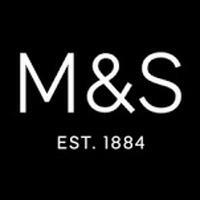 Marks and Spencer reviews right here at Review Centre. Why not write your review now or simply read reviews other people have written of Marks and Spencers. My father was diagnosed with coeliac disease when he was around 5 or 6 years old, not because he felt unwell or had a sore stomach but because eating gluten was slowly killing him! That was 50 years ago.....since then so many people are being diagnosed or telling themselves they are gluten intolerant in order to eat bread without actually eating bread! Nearly all shops can now cater to coelia'c EXCEPT M&S!! M&S lingerie is no longer good nor is it good value or quality. I had a bra fitting where they gave me a wrong size completely different to my actual size. This caused me discomfort a lot. Long and short they refused to refund me. I now buy quality underwear from lingerie specialist and they have my correct size which I have always worn. Stay away from M&S they have moved their focus away from customers! All the best. umm excuse me m&s is not a clothes shop it is mainly a food shop and I think you will agree the food in there is pretty good. And anyway the clothing in there has a wide variety meaning if someone doesn't like something in there you will probably be able to find something you like. Writing reviews like this doesn't help anyone maybe next time write with both pros and cons and I have a whole list of pros. You are right their clothes and lingerie quality has gone down the drain!! Ps anyone who doesnt know that M&S sells clothes has only been to the small and not main M&S stores nor have they been online yet so am afraid don't have the full M&S experience! why would you buy the clothes without trying them on first and if you buy them online you can take them back to your nearest store and get a full refund.